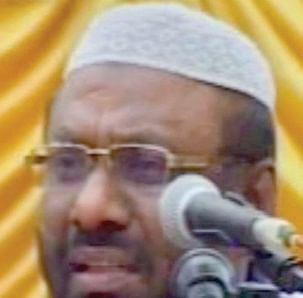 COLOMBO:The Sri Lankan government is likely to deny entry to Moulvi P Jainul Abideen, better known as PJ, the founder and star speaker of the fundamentalist Tamil Nadu Thowheed Jamath (TNTJ). A powerful section of Lankan Muslims who fear that PJ’s presence in the island will disturb intra-Muslim and inter-religious harmony are putting pressure on the government to cancel his visa. Earlier in 2005, PJ was deported on the same grounds. PJ had been invited by the Sri Lanka Thawheed Jamaat (SLTJ) for the release of the Sinhala translation of the Koran on November 8. The All Ceylon Jamiyyathul Ulama (ACJU) issued a statement appealing to the SLTJ not to send PJ in the interest of peace and communal harmony. Some went to the court alleging that the Sinhala translation has grievous flaws and sought an injunction. Express learns that the Defence Secretary has advised the immigration authorities to review his case in the light of the objections. PJ is not liked by sections of Lankan Muslims because he is campaigning against certain popular practices which he considers un-Islamic. For example he is against worship of graves of saints (dargas). He expresses sharp views against Muslim sects like the Ahmadiyas and Shias. His opponents allege that the Tamil Nadu Thowheed Jamath and Sri Lanka Thawheed Jamaat have accepted crores of rupees from Saudi Arabia for spreading Wahabi Islam. Others accuse him of criticising nearly a hundred Hadiths (sayings of Prophet Mohammad). But the Sri Lanka Thawheed Jamaat General Secretary R Abdur Razik says that PJ, Tamil Nadu Thowheed Jamath and SLTJ are only promoting true Islam, unadulterated by non-Islamic influences. Razik has challenged the All Ceylon Jamayyathul Ulama to an open debate on this. He asks why the ACJU has never protested against the arrival of non-Muslim preachers or preachers from various Muslim sects like the Ahmadiyas, Bohras and Shias. Why target only PJ? And there are also Muslims who say that as Lanka is a democracy with freedom of expression, PJ should not be barred. It is not clear as to which view has majority support among Lankan Muslims, but what is undeniable is that some politically influential people are against PJ and his brand of Islam.